Groups representing thousands of Australians intend seeking meetings with Federal MPs to see where they stand on population growth and are calling for a referendum on the issues. Protectors of Public Lands Victoria, Green Wedges Coalition, Planning Backlash, Environment East Gippsland, and the Vic/Tas branch of Sustainable Population Australia represent thousands of Victorians concerned that urban and rural amenity is being paved over as our urban open space, productive farmland and critical wildlife habitats are lost to more and more development. The group intends to seek meetings with various Federal MPs to assess their support for action on population growth, and is also calling for a referendum to gauge the level of support for government to adopt a population policy which is responsive to the environmental carrying capacity of each region whilst also observing our international humanitarian obligations. It is fascinating to note that the bulk of the people leading and animating these groups are women, standing up to the male-dominated ideology of forced population growth in Australia. If our State government and Planning Minister Matthew Guy really wanted to plan a sustainable and high quality future for all Victorians, now and in the future, they would be calling in the Minister for Immigration, Tony Burke, to heavily reduce immigration numbers. Asylum seekers are being used as a smoke screen for high numbers of legal, "skilled" migrants - and family reunions. Planning has become in disarray due to efforts to accommodate our "projected" population growth! All this developer-lead "growth" in high rise towers holds a potential dystopia of unemployment, poverty, congestion, debt and a dysfunctional city. Urban communities are being destroyed by the anonymity of these monoliths. It's not "urban renewal" but urban destruction. 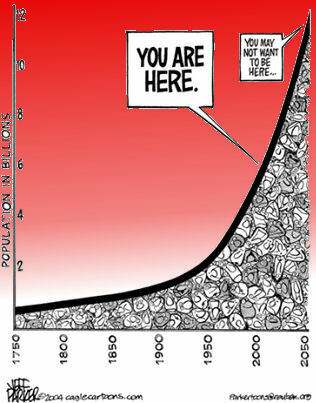 Once there are jobs, industries, production, high quality arterial roads and seamless public transport, along with adequate infrastructure such as schools, hospitals, child care centres, aged care, parks and recreation, etc, then there may be some argument to justify all this "projected" population growth! The explosion in population is not due to high fertility levels, but politically-engineered, and something we are being forced to cope with. Victoria is being governed by a de facto property development company, with vested interests in "projected" population growth. Labor and the Coalition are focusing their policies to benefit corporate greed, and the public are being presented with cherry-picked issues and broad policies, devoid of details. The Coalition will hand up to $75,000 to workers on $150,000 a year in a gesture under the guise of encouraging couples to have babies and helping workplace participation. Neither party leader will touch the population debate for fear of touching on a sensitive topic of immigration, and population growth. They only campaign on "soft" and "safe" issues. Neither will talk about "big Australia" and how we will future-proof our nation from global human, climate change and environmental threats, or the challenges of the decline in basic natural resources such as food! Asylum seekers are being used as an "immigration" smokescreen, to filter out the low-skilled and the vulnerable, while other legal immigrants continue to arrive in their tens, or hundreds, of thousands at airports each year! Europe has the "lost generation" of youth unemployment, and nothing about adjusting our immigration intake according to the slowdown in jobs growth. New data from the Department of Education, Employment and Workplace Relations reveals more than 50,000 young people were unsuccessful in attempts to find work in May, up by 15,000 from a year earlier. Over the same 12-month period, the combined total of Newstart Allowance and Youth Allowance recipients increased by 20 per cent, from 661,036 to 792,947, while the number of people unemployed for more than 12 months and looking for work increased by 27 per cent. The issues close to the electorate are largely being ignored, and the focus of the government and opposition remains on "growth" rather than the inconveniences of increasing poverty, and austerity, being faced by the public today. The Coalition, representing business, wants strong population growth to bolster profits and the economy. It's about corporate greed, and profits, rather than social justice, and grass-roots democracy. The landscape of our existing human resources, and overall welfare, is ignored. Many economies in Europe are shrinking, and suffering from high youth unemployment. Government imposed austerity measure and cut-backs are causing protests and hardships. A new study by the Center for American Progress estimates that today's austerity measures are going to leave the U.S. economy with 2 million fewer jobs and $433 billion less in economic growth by 2019. There are limits to growth, and already Australia's economy has suffered a slump. 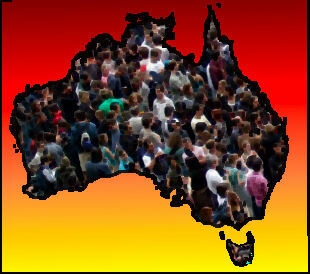 Jobs growth in Australia is being outpaced by population growth. The reason for the record number of 54 political parties these federal elections is because the mainstream parties are not tapped into public concerns. The coalition of planning and environmental groups has released a sustainable population charter, which calls for net overseas migration to be slashed from the current 232,000 people a year to only 70,000. Planning Minister Matthew Guy claimed they were "blaming migrants" for population growth! Nothing in the document was targeted against migrants, but population growth as a whole, as a political trend. Migrants are just as much victims, or more so, of our socially engineered population growth. They are invited here for what is advertised overseas as a utopia of opportunities, but the reality must be a stark contrast. "We are living longer, we are having more children, there are a whole range of factors in population growth," Matthew Guy said. Actually, almost 60% of our growth is due to immigration, not fertility levels which have fallen since the 1950s and 60s. He's clearly "blaming" parents for over-breeding when the number of babies is below long term replacement levels. Rather than a "suburban boom" we are living through a suburban "bust" with traffic congestion, lack of parking, lack of infrastructure, increasing unemployment and people living in fringe areas suffering deprivation.